After the tribute, YG launched into some of his biggest hits, including “FDT” and “Toot It And Boot It.” Performing his recent hit “Big Bank,” YG brought out 2 Chainz and Big Sean, both of whom are featured on the track. 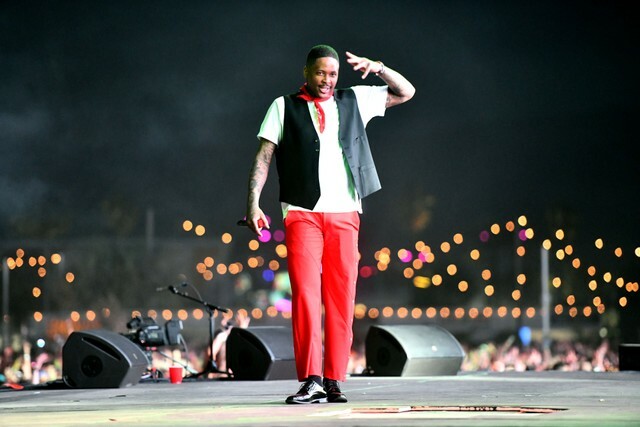 YG also performed Blueface’s “Thotiana,” and brought out Tyga for a rendition of “Taste.” YG’s Coachella tribute follows his recent Instagram post on his relationship with Nipsey. The two worked together on “FDT,” “The Last Time That I Checc’d,” and “You Broke,” and were longtime friends. Nipsey’s funeral took place last week at the Staples Center in Los Angeles, and featured performances from Stevie Wonder and Marsha Ambrosius along with a reading of a personal letter from former President Barack Obama. Find clips from YG’s tribute and performances below.